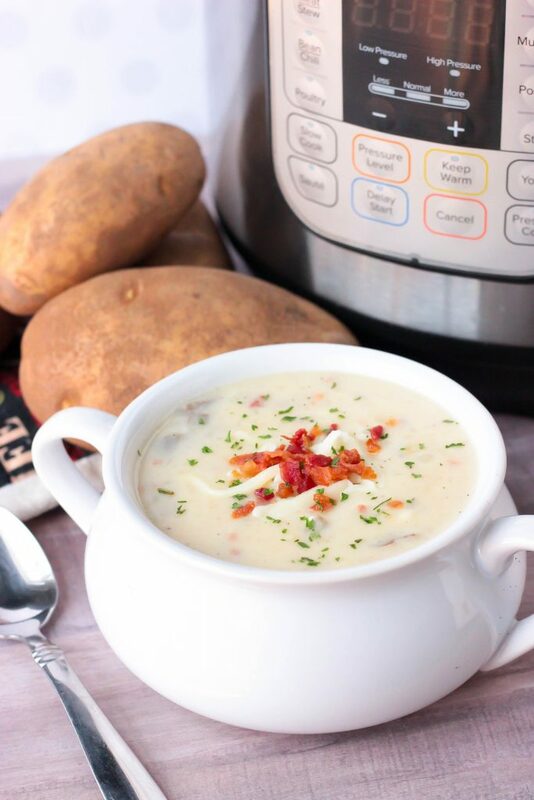 This Instant Pot Potato Soup is pure comfort food and I love the fact that you can set the Instant Pot and walk away without babysitting this soup on the stove. Jackson has been extra cuddly the past few days so a lot of my time has been soothing a fussy baby and keeping him close to my chest for most of the day, which is where is snuggles up and feels content. 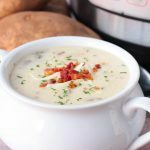 I made this potato soup a week or so ago, because Thomas was really craving potato soup and wanted to try out an Instant Pot version since we’ve been loving that thing lately! 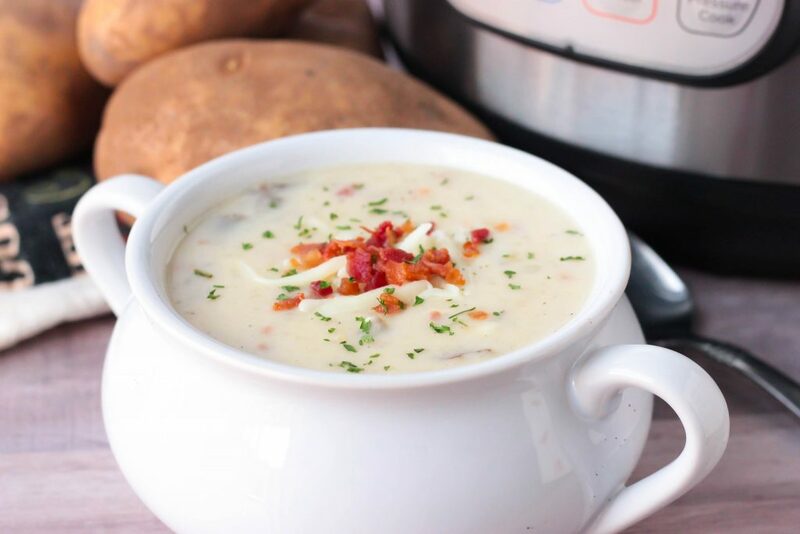 I used our favorite Loaded Baked Potato Chowder recipe as my starting point and just kind of winged it the first time I made this. It turned out pretty good so that’s the recipe that we stuck with a tested a few times. 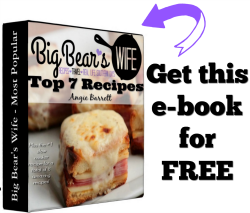 I use a 6 quart Instant Pot for all of my Instant Pot recipes. 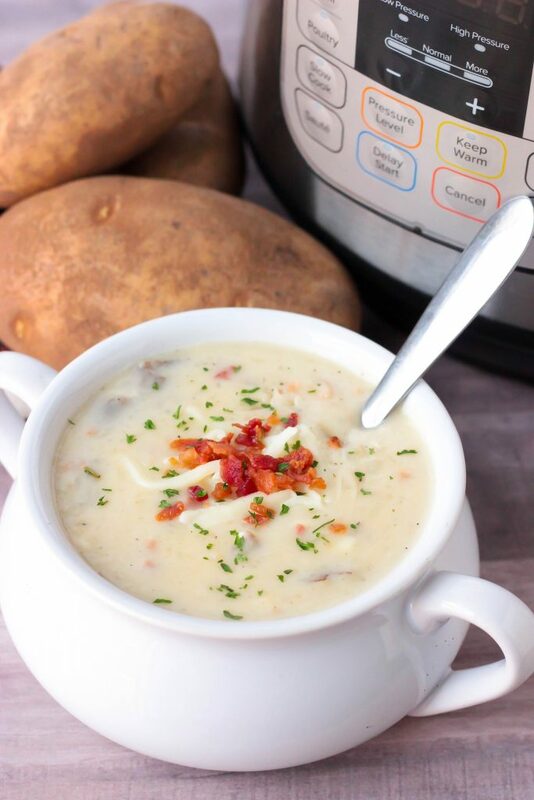 We used Russet Potatoes for our soup but you can use which ever kind you like. I didn’t peel the potatoes to keep the nutrients and because that’s just how we like our soup. You can totally peel the potatoes if you want. Badia Complete Seasoning is one of my favorite seasonings for everything. You don’t have to use this particular seasoning, you can use your favorite “All in Seasoning”. I used whole milk because that’s what we drink, however you can use whichever you like. I use onion powder in all of my recipes because my husband can’t eat onion piece, (he gets sick) but if you’d rather have onion pieces in your soup, just saute up some chopped onion and add it to the soup before putting it under pressure. This soup will get super thick as it cools. If you’re reheating leftovers, add a bit of milk or broth to it as you’re warming it up. 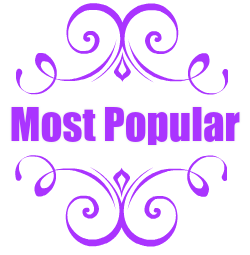 Affiliate links – Some links in this post are affiliate links. If you happen to click on them and decide to buy a product after clicking on the link, I will make a tiny percentage from the sale at NO EXTRA COST to you. 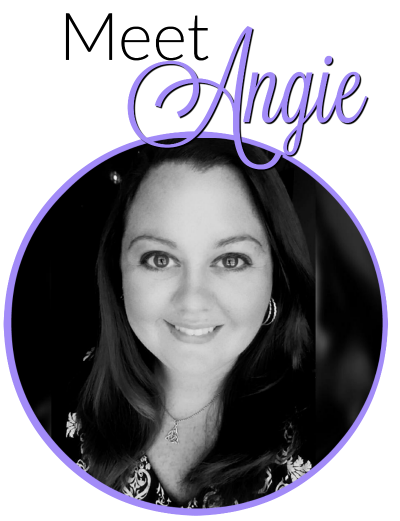 Affiliate links help me to keep the blog running while providing you with free recipes and tutorials. Also, this is NOT a sponsored post, Instant Pot doesn’t even know I exist. I just love our Instant Pot. Wash and dice the potatoes into small/medium pieces. Add butter and melt. Add minced garlic and saute for 1-2 minutes. Pour the broth into a small bowl and stir in the complete seasoning and onion powder. Cook on high pressure for 25 minutes. When it\'s done cooking, let it natural release for 15 minutes and then use the quick release on top to depressurize the Instant Pot. Open the lid and use a potato masher (or large fork) to mash the potatoes. Sprinkle in the bacon bits and mozzarella cheese, stir until cheese is melted. Stir in the salt and pepper. Taste and add more seasoning if needed. 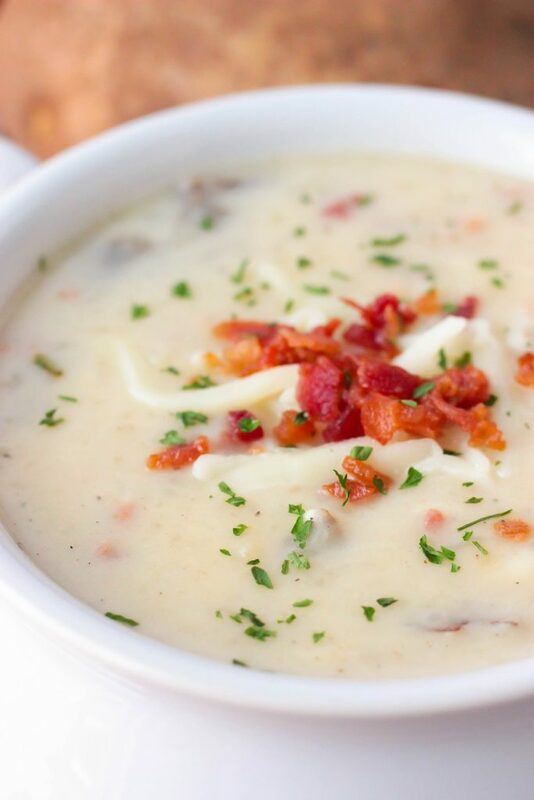 I love potato soup. 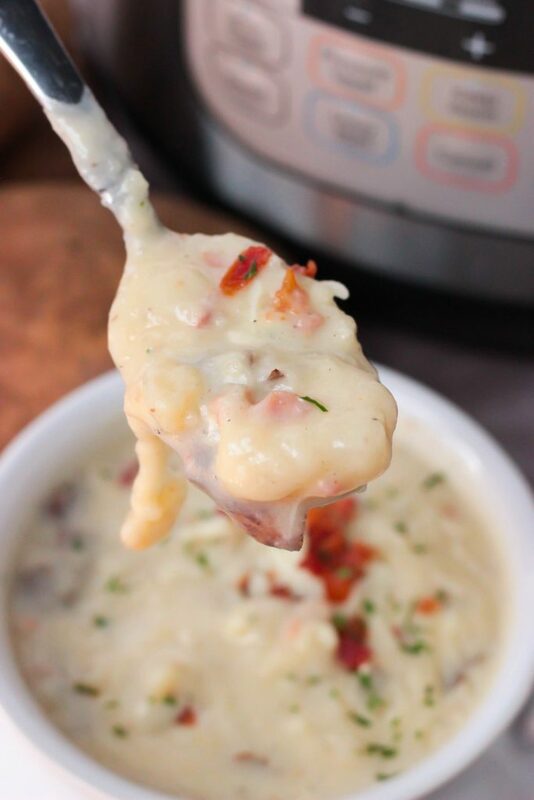 This looks like a great way to cook the soup, and it’s done in 25 minutes! It’s so good! I just love it! The flavors are fantastic! How good is this reheated? 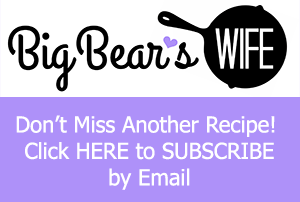 I’ve put off purchasing an Instant Pot but this recipe is making me seriously think about getting one. I actually loved it more the next day when we reheated it. It does get super thick in the fridge so make sure to add a bit of milk to it before or as your are heating it back up to make it smooth and creamy again. 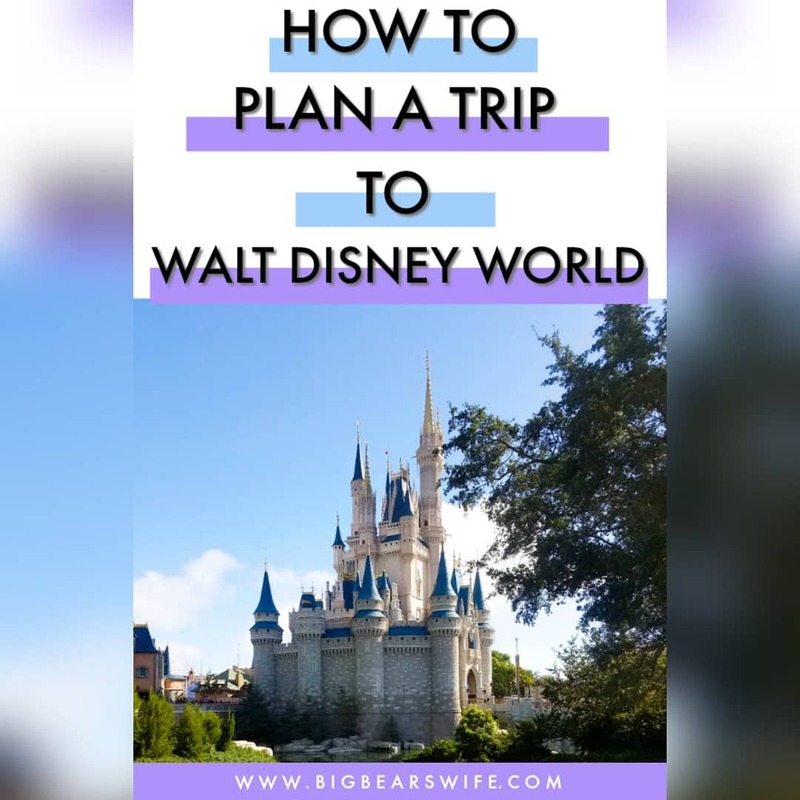 I think it is an EXCELLENT idea to cut back some on the blog. Baby Bear won’t be a baby forever. Enjoy and savor every single minute! You will be posting plenty for us with your new plan. And if I didn’t congratulate you on that sweet baby before, I must say congratulations now…I know you two waited a long time! Thank you so much, Vicki! I’m so glad I can stay at home with him and watch him grow. He’s been a blessing for sure! 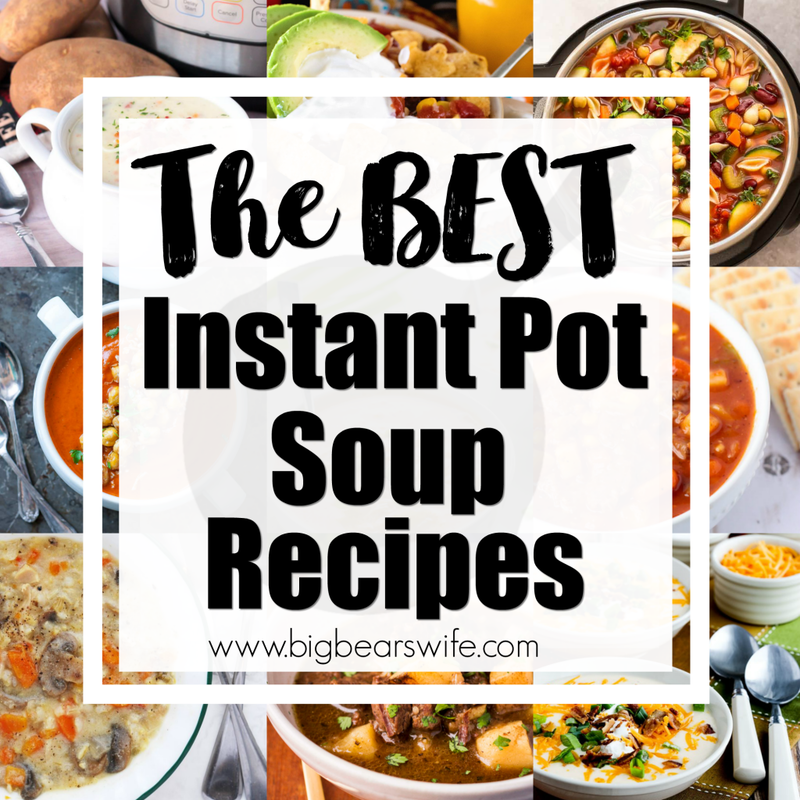 I don,T have instant pot can I use a slow pot ? Do you mean a slow cooker? and cream cheese. Cook all of that on low for 6-7 hours or high for 4 hours and then stir in everything else once the potatoes are soft and have been mashed in the bowl. I’d like to use sauted onion instead of the onion powder, how much diced onion should I use? To be honest, I don’t know. We don’t cook with onions because of my husbands allergies but based on other recipes, I think 1 medium onion (about 1 cup diced onions) seems to be the norm. 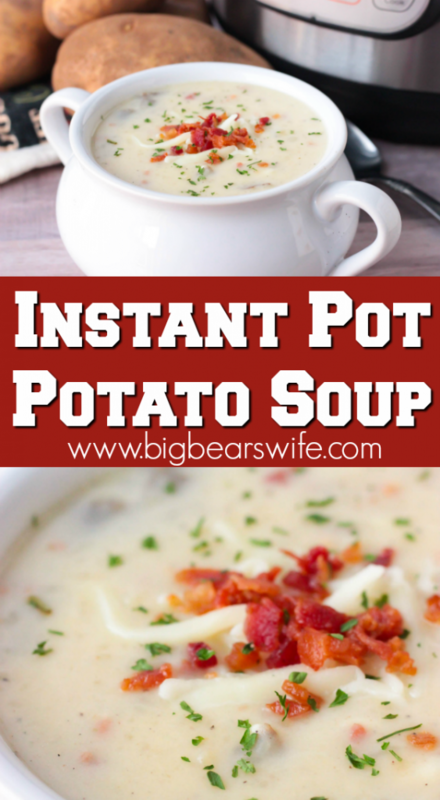 I would saute them in the Instant pot before I added the potatoes. I am not familiar with the Seasoning tgat you use. it’s a mixture of garlic, onion, parsley, salt, and pepper. Congratulation on the little one. enjoy the time it fly’s by fast. Thank you so much! Our little guy has been a true blessing! I hope you love the soup! Please let me know what you think of it! I have always used some diced celery in potato soup. I learned to make potato soup in freshman home ec. class 53 years ago. That’s a good idea. I don’t really like celery though, that’s why I don’t add it to mine. Can you freeze this? There is just the two of us so 12 cups would be too much but if we can divide it up and freeze it, it would be so great for us. Thank you. Will be making this recipe very soon.